The Wing will bring a community space designed with women's productivity in mind to Belltown. No, not a West Wing spinoff but a new way to co-work in Seattle. Sorry, Sorkin diehards, rumors of a West Wing reboot remain hearsay. What is coming to Seattle though: The Wing. 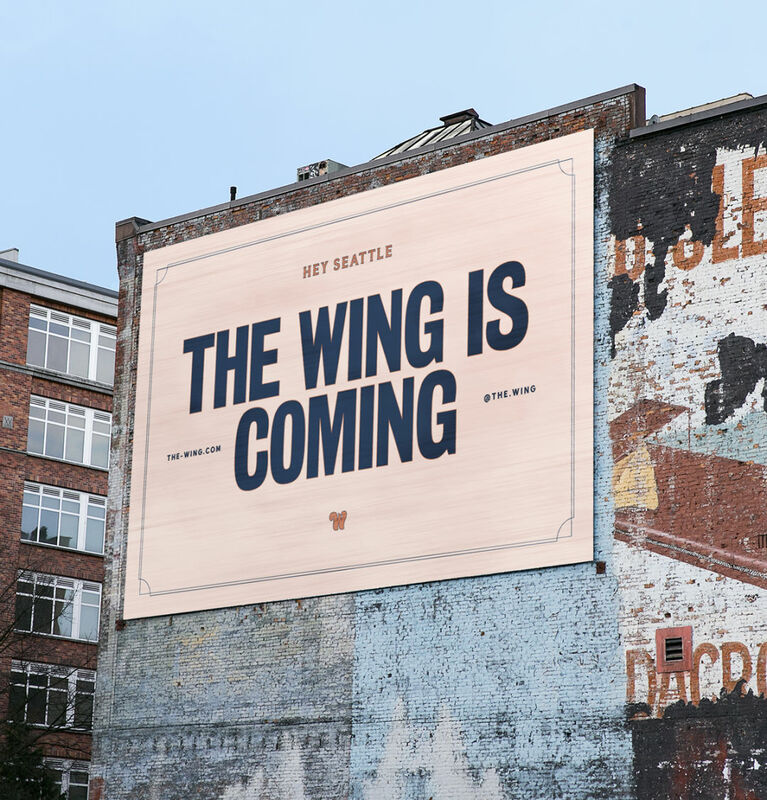 On First Avenue you may have spied a billboard—it's not exactly subtle—noting that "The Wing Is Coming." The New York City–born co-working and community space for women, though it's decidedly much more, has plans to open in Belltown come mid-2019 at 2302 First Avenue. Launched in Manhattan in 2016, the Wing is inspired by the Women's Club movement of the mid-19th century and takes cues from the movement's emphasis on building community. Which is to say: This will be a place for likeminded women to tackle their big ideas and projects, all in a custom-designed space. What that looks like: Membership includes access to open-plan and private workspaces. (You can bet those digs will be the stuff of Pinterest dream boards.) A press release touts that members can also partake in a "robust and unique calendar of events," plus a curated menu of food, wine, and cocktails created by female chefs; meanwhile, sommeliers and mixologists are available at the Wing's in-house cafe (dubbed 'The Perch'). Other amenities—a lactation room, hair blowouts on demand, "really good wifi"—would make any hardworking gal swoon. The Wing has been in expansion mode since last year, opening four other outposts along the East Coast. The company now has six new locations in works: Los Angeles, San Francisco, Brooklyn (New York loves to co-work, apparently), London, Toronto, and, of course, Seattle.